Are you planning on taking that long drive to your parents’ (or grandparents’) house for the Christmas holidays? Or that trip south to warm temperatures with the family? Or that trip to that ski resort with your friends! You may have had all the reservations ready. The packing is done. The family is just waiting for that day to arrive. Many people assume that since the car is working fine, that it does not need to be checked over. Make sure the oil is changed, tire pressure checked and all of the other fluids looked at. A quick walk around the car to check all of the lights are working properly is a good idea. Confirm that the spare tire actually has air in it would be a great idea. Many organizations and groups who do advocate for better and safer driving despite winter road conditions are reminding the thousands and even millions of drivers in the nation to actually make sure that their vehicles are ready to take that trek. After all, the sudden drop in temperature could really do change the condition of your vehicle without you even noticing it. And yes, your vehicle could act up in the middle of your trip without even knowing that you are going to have problems. According to one expert in the auto field, the American Automobile Association (or the AAA), they do estimate that there are more than thirty-eight million Americans who will be taking that holiday trip. They would approximately take around fifty or more miles from their home. And most of these travelers would be taking their vehicles on their trips. These may seem like relatively short trips, however this is just the time when something can go awry and giving your car a quick check before you leave can save you a lot of difficulty. To make sure that you are safe and sound and would arrive at your destination still in one piece, one thing that you should check is your tires. Make sure that they are just right for the winter travel. There are different types of tires and these have been made not just to catch your attention but for safety and for various types of weather and road conditions. If snow will be involved make sure your tires are up to the snow conditions. Before you take your vehicle for that trip to your holiday destination, check the air pressures of the tires. Make sure that they are not over inflated and also not under inflated. If you drive a vehicle with such tires, chances are that they might not work out just right and could also lead to a blown tire. Plus, your expenses on gas could also go to escalating heights. We really like the service we get at Costco and also the prices we get as well. Yesterday I took my car into Costco to have the tires balanced, rotated and checked for tire pressure. What a great decision I made to purchase my cars tires from Costco. Not only did they have the best price at the time of very close to it, they also provide free tire rotation , free tire balancing and free tire checks for as long as I own the tires. When you factor this into the price comparison, this was the best deal. Oh, and I forgot one other thing. My tires are filled with nitrogen at no extra cost and I have to say that the tires have never needed air to be added. The tire pressure as been perfect for the last 6 months and over 10 thousand miles. This is why we spend money at Costco. If you need new tires for your car, this is a strong recommendation to visit Costco tires and check out the deals they have. They do have tire sales from time to time, so it is worth checking each time you go to the store for other things as long as you are not in a hurry. Our last post talked about Costco Tire Rotation. You can read this post to find out how we actually ended up with Costco and purchased the tires from them. However this post is all about Costco Tires and the service level we get from them. One of the reasons we purchased the tires for our car from Costco, we liked the idea that you can go to any Costco tire store to have the tires rotated, balanced and checked. In fact you can go to other countries such as Canada and still receive the same service! Costco tires is by far the best place to purchase tires from based on price as well as service levels especially for someone who travels a lot and may need their tires rotated while they are en-route. While some people never bother to have their tires rotated, the fact of the matter is that your tires will wear more evenly if you do and Costco Tires makes it easy to maintain this schedule recommended by all tire manufacturers and car manufacturers. By the way we just pulled in to the Costco tire entrance and they took our car right away. It was late on a Sunday afternoon, so it was not busy and there was virtually no wait time. We shopped in Costco while we waited and they called us to let us know that the tires were ready! Well this will be a short post, but we wanted to make sure that Costco Tires is really a good place to shop for tires. If you have found Costco tires to be a great place too, let us know and of course if you have had a bad experience let us know that as well. your comments will be welcome as long as they are on subject and helpful to our readers. For more info about the right tires for your car, click here. Gas prices have come down a bit recently from the highs of $4 and more per gallon. However it is only a matter of time before they go up again as the economy picks up and people start spending again. Every time I fill the car up, I groan at the cost of the gasoline. 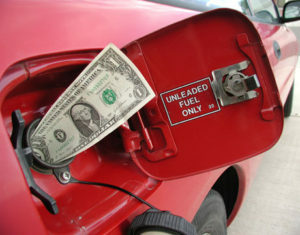 It is time to think about Saving Money at the Fuel Pump. It is time to make sure that I do everything I can to stretch a tank of gasoline as far as I can. Even if you are driving a small car that get’s great gas mileage, it still is a bit of sticker shock each time you fill up. I just heard to-day that the avg cost of a gallon of gasoline has gone up by one dollar in the last year. That is a lot of money that is no longer available to your family, especially if you commute to work every day. Clean your fuel injectors. When fuel injectors are clogged or gummed up, modern engines do not perform efficiently. Ironically, this may actually lead to them introducing too much gas to the combustion chamber. Check you owner’s manual for any directions on the type of fuel injector cleaner to use. You may want to have the dealer do it for you. Correct air pressure in your tires. Filling your tires to the correct air pressure ensures your tires will move efficiently across the road. Importantly, use the air pressure recommended by the manufacturer, not the tire supplier. You can find this information in your owner’s manual or on the inside of the driver’s door. Organizing your life is a good way to save money on gas. Organize running errands to avoid taking multiple trips a day to get things done. Every time you fire up that car, you burn fuel. Make a list of everything you need to accomplish and do it all on one trip. Car Pool If you have kids, getting them to and from school, sports and the houses of friends can lead to a lot of time on the road. Save money for you and others, by teaming up with parents to move the kids around in one car. Car pool to work – This also provides huge savings and gives car poolers a chance to catch up on sleep or read the paper or even get some work done. Avoid hard accelerations from a stop sign or stop light. Every time you press the gas pedal to the floor and take off fast, you are burning much more gas. Leave a stop at a more normal level of acceleration. Coast into stop points, to avoid coming to a complete stop. I see so many people accelerate from stop light to stop light and then hit the brakes hard. Coasting into a stop light, not only saves your brakes. This action also reduces the gas you use on leaving the stop light especially if it turns green as you arrive. Drive at the speed limit-driving 10 miles an hour over the speed limit causes a severe reduction in your gas mileage. You might get there faster, but it is going to cost you a lot more! Taking small steps can add up to a big difference. Following the above tips should spend help you spend less time at the pump. For more gas saving ideas, click here. It has long been known by most of us that proper tire inflation can save on fuel costs. Many people, however, do not realize that proper tire inflation not only prolongs the life of the tire, thus saving on replacement costs, but also impacts on the wear and tear experienced by various parts of the steering assembly itself. Additionally, Tire Pressure and Safety are directly related. Proper tire inflation simply improves driving control by reducing the amount of corrections and control required from the driver. Proper tire pressure can actually avoid car accidents and save you a great deal of money and frustration. Safety is also impacted when proper tire inflation is combined with regular inspections and other appropriate tire care steps because there is less chance of unexpected tire failure in dangerous highway driving and other traffic situations. So, all year round, increased safety and fuel economy can rest on something as simple as regularly inspecting your tires visually and maintaining proper tire inflation pressure. It is also a good idea to make note somewhere of when tires are purchased, including both date AND mileage. Many of us tend to let such bits of info slide into the background as we drive at top speed with our loved ones on tires which may be nearing the end of their effective, safe lives. Check also when tires were manufactured. Any tire older than 7 years should be suspect and not only checked regularly, but also replaced as soon as they show signs of deterioration. 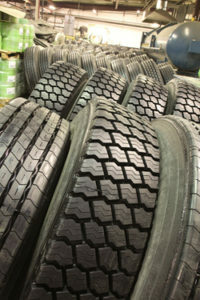 Some tires are sold as new, when they are already 5 or 6 years old so check with the dealer before they are installed. Due to weather changes and road conditions in various areas, additional checks, maintenance, and operations may be called for. Winter presents unique challenges in some areas and in almost all areas from time to time. Cars may become stuck in snow, roads may become icy, and vehicles may slip and slide at exactly the worst time possible. Winter is NOT a time that you want a tire to fail, so the usual inspections and maintenance become even more important. Properly inflated tires can help maintain traction as well as aiding in regaining control in skids and slides. If stuck in snow, by the way, try to avoid spinning your tires. This can cause overheating of the tire and may possibly contribute to a future failure of the tire. After Winter has done its damage to drivers in many parts of the country, a new phenomenon may appear in abundance. Many new potholes happen due to a cycle of freezing and thawing of water under the roadway. Potholes can be tire killers at any time of the year, but, because of this cycle, there seems to be more of them after Winter has passed. Often, the damage a pothole inflicts on a tire is invisible, although the damage to the steering may become immediately evident due to the “pulling” of the vehicle to one side or the other, or vibration which wasn’t present before. Obviously, avoiding potholes completely is the best way to protect your tires against damage. However, as we all know, this is not always possible. Here is a tip on how to hit a pothole with minimum damage to your tires. First and foremost, do NOT brake during the impact itself! This creates a solid impact at a given point and will produce the most damage. Instead, brake as much as it is safely possible up to just before impact and release the brakes in time to roll across the pothole. This will result in a rolling contact which produces less damage in most cases. When deciding on proper inflation pressures, your car manufacturer will usually provide the recommended pressures in the owner’s manual and also on a data plate commonly located on the door frame, in the glove compartment, or under the hood. However, aftermarket tires purchased later may require different inflation pressures. In this case, it is good to check with the tire dealer on what would be the best inflation pressures. Last, but not least, a word on tire rotation. Obviously, not all tires are going to experience the same wear at the same time. For this reason, it is usually considered a good idea to periodically rotate tires. Your best bet in most instances is to simply go with the car manufacturer’s recommendations, but a rule of thumb might be to rotate tires every 6,000 miles on most cars, and every 4,000 miles on cars with 4-wheel drive. In these days of high fuel costs, and with the possibility of even higher costs in the future, this is a simple way to improve fuel economy. When you consider that you can also prolong the safe and effective life of your tires as well, you will not only be putting more money in your own pocket but will be helping reduce the power needed to produce more new tires and help reduce America’s dependence on foreign oil as well. For more information about tire safety and tire performance, click here. Your vehicle’s tires are actually synthetic rubber which has been shaped into a form to meet the specifications for your vehicle. It covers the circumference of the wheel of your vehicle and provides traction in all kinds of conditions from dry payment to snow and ice conditions. Your tires must be at the recommended tire pressure for them to provide the best traction possible in all conditions. Keep your tires properly inflated at all times. Your tire has many functions. Dampens any strong shocks or forces that could be the effects of any irregularities on the road surface like bumps or potholes. Tires also protect the wheel itself from wearing out too soon. That is why it is of utmost importance that a car owner should take extra care when it comes to choosing the right tires and maintaining his tires. One of the most common ways of keeping a tire in good shape and condition would be to maintain the proper air pressure, balance and alignment. Make this activity a routine and do it regularly. Check your tires air pressure to taking long drives. During the summer months, be sure that you check the tire pressure when the tires are cold for the air inside expands when the tires are hot so you would be getting a different reading. During winter, the air condenses so your tires may seem low or flat even though they are not leaking. Review your car owner’s manual for the right amount of air needed for your tires? Usually, this document holds pertinent information regarding anything and everything about your vehicle and this includes the recommended tire pressure. Or you can also check the label found in the glove box or in the driver’s side’s door latch. You see, if a tire has just the right of pressure, they are more likely to last longer and less likely to fail you while you drive and they provide you with much better gas mileage. Make sure that your tires are wearing evenly. If not, there might be a problem with how you drive or with the wheel alignment or even how they are balanced. Have your car checked by a mechanic if you feel a vibration while driving. This is likely badly balanced wheels, while uneven wear on one side or the other represents alignment issues. Running tires at low tire pressure can cause all kinds of problems from uneven wear, to poor maneuverability to even blowouts at high-speed. 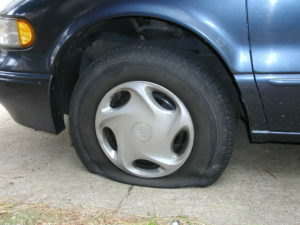 Low pressure tires will cause your car to not handle as well. Now, if you see tread wear warning bars running across the tire, do not think twice about replacing that tire. Purchase new tires immediately. It means that the tire has reached the end of its lifespan. Bald tires are actually unsafe on any kind of road. If you have comments on tire pressure or other topics about tires, feel free to leave a comment. All constructive comments that are valuable to readers will be considered for posting. For more safe driving ideas, click here. There many ways to save money while operating your car. It is becoming more and more important to make sure that your car is in perfect working condition. If you are going to limit your costs at the gas pump make sure it is well maintained. Many of these things can be completed by the driver with no need to take your car into the dealer or to a local garage. And, these things do not cost a lot of money either. You can easily save money and get better gas mileage by following a few simple steps. We will try to capture a few of them in this post. One area of maintenance that will help to maintain gas mileage with your car is to keep the tires at the optimum air pressure as specified by the manufacturer. Tires at low pressure will not only deliver poor mileage, the tread will also wear off more quickly. The tires can also over heat at high pressure potentially causing an accident if they were to explode at high speed. If your tires are filled with nitrogen, which more and more cars are you will need to go to a some place that can handle nitrogen filled tires. The good thing is that tires filled with nitrogen require less topping up! A blockage in the car fuel filter can rob the engine of power, causing it to run lean and actually hurt the engine over a period of time. The fuel filter is designed to remove deposits in the gasoline and prevent them from entering the engine. Over time it will become clogged so change it as per the manufacturers instructions. Tires that are well balanced without excessive wear can give you better fuel consumption as well. Ensure that they are always balanced and as mentioned earlier are at full pressure. Replace the air filter in your car on a regular basis. As a minimum check it each time an oil change is performed on the car. Replacing a clogged air filter can improve the mileage that you get with your car by up to 10 percent. When you calculate that 10 percent into gasoline savings, you’ll be saving up to 45 cents per gallon at current prices in North America. You can ask your mechanic to check the filter and recommend if it needs to be replaced. The mechanic can then replace the air filter in your car or you can do it yourself. Improper alignment will cause bad tire wear on one side or another and a certain amount of engine drag,. This will also increase the amount of gas that you are using. If you notice that the tires are wearing on one side or another, talk to your mechanic about your next alignment servicing. Another way that you can tell if your car is due for alignment is if the car pulls to one side of the road or another. You may also feel this pulling on the steering wheel when you are driving. Regularly rotate your tires and check them for uneven use and wear. Rotating your tires ensures even wear across all of your tires. This step will extend the overall time that you can use the tires on your car as well as you will find that you are saving in gas costs. After you have an alignment done on your car most mechanics will also rotate the tires. This doesn’t by any means mean that you should wait until you need an alignment to get those tires rotated. Not only are they not safe to drive on especially at high speeds They are far more dangerous in snow and rain conditions, since they will not grip the road at all. You may lose control causing an accident. Comments are welcome. Look after your car and keep it well maintained to ensure that your driving is safe and you get maximum gas mileage. For more information about getting better gas mileage, click here. Maintaining your tires could potentially help you avoid uneven wear and poor performance. Possibly even a blowout that could cause a serious accident. Your tires will last much longer if properly maintained. According to the National Highway Traffic Safety Administration, Tire Maintenance is Critical. Tire failures or blowouts are believed to contribute to over 400 deaths and 10,000 injuries in the United States every year. All of these injuries could easily be avoided. Simply maintain your tires. Even with those figures being made public, the surprising factor is that statistics have shown some drivers still fail to follow the basic tire maintenance guidelines that could help to prevent such occurrences. These simple maintenance procedures only take a few minutes each week. They could save your life as well as thousands of dollars in damages. One way to determine if your tires need maintenance is to always look at your tires every time you get into the car. A fast glance will tell you if the tire is under inflated and need more attention. Get into the habit of checking your tires each time you drive the car and you will not usually be caught by surprise. In addition to overloading, under-inflation or over inflation is one of the leading causes of tire failure. Simply put, this means putting too much air or not enough into the tires. Either of these can cause stress and excessive heat to be generated by the tires further weakening the tires, which can lead to tire problems and may even result in a blowout or a car crash. Many do not realize how much the change in outdoor temperature can actually affect a car, but it can. In fact, it can even affect the rate at which tires lose air and this is especially true during the warm spring and summer months. During a normal month, tires will lose approximately one or two pounds of pressure. In the warmer months, that number is even greater. During the winter time, air contracts and tires can also lose air. When there is a cold snap I have noticed my cars tires losing more than 5 pounds pressure in a week. The best way to avoid any tire-related mishap is to check your tire’s pressure every time you fill up your car’s fuel tank. 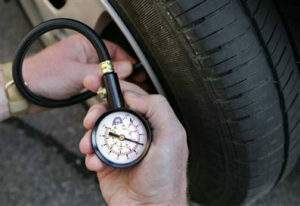 At the very least, tire pressure should be checked once every month and prior to leaving for a long road trip. If you can check your tires every week even better. You will quickly get to know just how good your tires are at retaining their air pressure. If you are uncomfortable checking the tires yourself, simply stop by the local auto repair shop and ask for assistance. If you do have a blowout while driving, it is critical that you not panic and slam on the brakes. This may be the first instinct, but it is a very bad move and can cause you to lose control. In doing so, you may end up causing your car to swerve into the ditch or worse into oncoming traffic and potentially put you at risk for a much more serious accident. Instead, take your foot off the gas immediately. The car will begin to slow down and then you can gradually apply the break until you have regained control over the vehicle. At that time, slowly guide your car to a safe area as far away from the road as possible. With the proper maintenance, a potential problem can be diagnosed before it occurs and will help to ensure you and your family will arrive at your destination safely. It only takes a minute or two to perform the tire check and it could save your life and that of your family. For more details about tire maintenance, click here. How often do you check your car’s tire pressure? Maybe you have a tire pressure monitor in your car that alerts you to low tire pressure with an alarm on your dashboard? Even with one of these devices, which are excellent, they will not operate if your tires are only slightly below the optimum tire pressure for your car. They will operate if you have a sudden slow leak caused by a nail or a leak that gradually loses air over a period of several days. New tire pressure monitors provide specific information about each tire like the one shown in this picture. You can easily see which tire is low! Not everyone has this type in their car. Your car’s tires should always have just the right amount of pressure for optimum performance and gas mileage as well as safety. This may not seem to be a big deal, however, remember that your tires are very import when it comes to your car’s overall performance. Low pressure tires can cause poor gas mileage, poor handling and premature tire wear. We recommend that you check your cars tire pressure at least once a week. According to automobile experts, your car’s tires should have the right amount of pressure to protect you and your car from damage caused by accidents due to poor control. As long as you are driving in a straight line, you will probably be ok, however if you need to swerve for some reason to avoid an accident, your tires are not going to perform at an optimum level and you risk a possible accident. 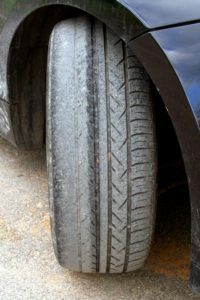 If you do have under inflated or over inflated tires, you would be experiencing much too many rattles and shakes as you drive your way through various types of roads. Over inflated tires can be just as dangerous. In both cases the tire can overheat and a blow out at high-speed can occur. Also, tires that are not inflated properly give you a more bumpy ride. They also tend to wear down quickly compared to tires that are inflated just right. Another fact about tires is that when they are over inflated or under inflated, they actually cause your car to use more fuel. Compared to having a car with tires inflated just right, your car might use 10 to 20% more gasoline. Most people love to brag about the gas mileage they get with their cars especially now with gasoline rising in price almost every day. Had to do when you have tires that are not inflated properly. Always check the your tires’ pressure when your tires have already cooled down since the hot air inside the tires expands increasing the pressure. Keep in mind that tires get more inflated when warm for the air inside expands. Remove the cap from the valve on the tire that you are checking. 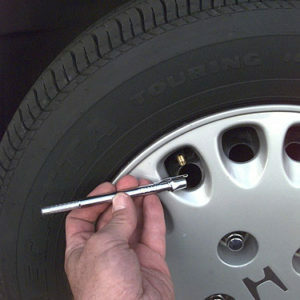 Caps keep dirt and corrosive salts out away from the valve of the tire which can cause the valve to leak. Press a tire gauge hard on to the valve and take a look at the given reading. You will know if you have inserted the gauge properly if you hear the sound of escaping air. Check the pressure twice to make sure that your reading is accurate. If the tire needs more pressure, add air and recheck the pressure to make sure you have not overfilled the tire. If your car has had just too much pressure, then release the air. You can find the recommended air pressure of your tires by checking your car owner’s manual. For more details about tire maintenance and care, click here. Good tires will perform well in all kinds of conditions, snow , rain, hot pavement, gravel roads and sandy beaches. In fact, your tires actually give you much more comfort than many people realize. Good tires that are properly inflated and balanced along with the suspension system absorb the bumps and potholes on the road providing you with a smooth ride at slow as well as high speeds. The tire performance is optimized when you they are balanced and inflated to the correct tire pressure. With this in mind, it is important that you do take good care of your tires. 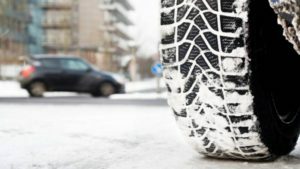 In fact, you would not want to be driving a car that has worn out tires on it since it would be unsafe in many different situations, rain, snow and ice to name three. Bald tires do not provide sufficient traction in these conditions and they are also more prone to blowouts. Aside from this, your chances of meeting a flat tire or having one of your tires blow up increase as the tread is worn down. Taking care of tires is important and relatively easy. At least once a month, you should check the tire pressure. All tires should be checked. To be sure that you have put in the right amount of pressure, check your car owner’s manual to confirm the proper pressure level. You may also find the information regarding this stamped on the side of the tire or on the information plate on the door jam. Make sure that you do not under inflate them or over inflate them. Both can cause premature tire wear. While driving, if you notice that your car is pulling in one direction even if you are driving on a straight road, then would be the time to have the wheels aligned. By having the car aligned, you are driving much safely and you also are lessening the pressure on the tires thus making them last longer.When the car pulls to one side or the other, the tires are also wearing on one side, which will prematurely cause them to wear out. You should also have the wheels checked and balanced if you feel continuous vibrations while driving at certain speeds. This is cause by the wheels not being properly balanced and can cause them to wear more quickly. While they are being balanced you should also have the tires rotated on your car to take advantage of different wear patterns on each side of the car. Check your car’s manual for proper instructions concerning when to rotate your tires and the method of rotation. This will help to ensure that your tires will last longer and wear evenly across all four tires. Your cars tire performance can be maximized if you take care of them following these steps mentioned above. Every tire has an expected life span and mileage expectation. You will only achieve the advertised amount of mileage if you maintain your tires at the optimal level all of the time, other wise they will wear faster than they should. If you have comments on tire performance, on maintaining your tires etc, please feel free to leave comments. Our readers will appreciate your input. For more information on tire performance, click here. Copyright © 1996-2010 Managing Home Maintenance Costs. All rights reserved.